FRANKFURT (Reuters) – Deutsche Bank (DBKGn.DE) said on Wednesday it had received requests for information from regulators and law enforcement agencies around the world that are investigating a money laundering scheme involving Danske Bank (DANSKE.CO). As rumors about a possible Deutsche Bank merger with rival troubled German lender Commerzbank continue to swirl despite the seemingly never-ending investigations into a suite of alleged misdeeds by the bank, Bloomberg has given would be merger arbs weighing whether to buy the German lender’s battered shares one more reason to hold off. In a follow-up to a report late last year that the Department of Justice had expanded its probe into what could be the largest money laundering scandal in history – that is, the infamous Danske Bank money laundering scandal, which involved some $230 billion of suspicious money flowing into Western Europe from shadowy sources in the former Soviet Union – by looking into the role played by the various correspondent banks that cleared many of these transactions (a group that included DB, BofA and JPM), Bloomberg reported on Wednesday that the Federal Reserve is examining how DB moved billions of dollars on behalf of Danske’s Estonian branch, the epicenter of the fraud. Though this line of inquiry is said to be in its early stages, the implications are clear: US regulators are growing increasingly dissatisfied with correspondent banks and their deference on all KYC-related issues to the client banks whose transactions they are clearing. 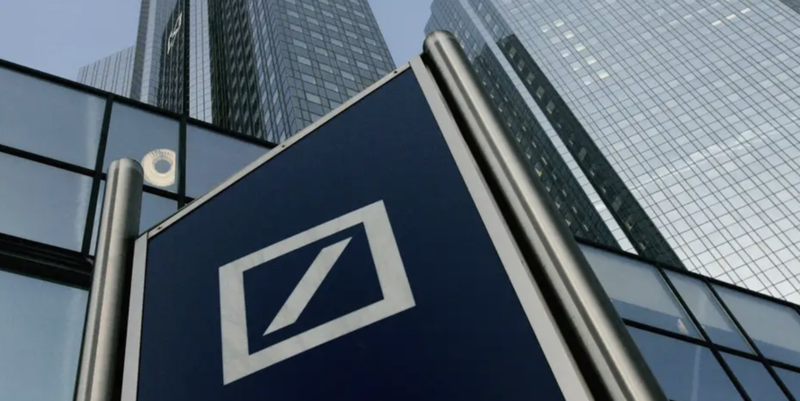 Deutsche Bank said that month it has controls in place when acting as a correspondent for other banks, but its ability to know about their clients is limited. As a correspondent, “your only relationship is with the bank and the bank itself has the responsibility to check its own client to monitor the transaction and to do all these kinds of checks”, a company representative said at the time. The Fed is exploring whether Deutsche “adequately monitored funds” moving through Danske’s Estonian branch. The Fed’s probe is in an early stage as it scrutinizes whether Deutsche Bank’s U.S. operations adequately monitored funds from an Estonian branch of Danske Bank A/S, according to two people briefed on the situation, who asked not to be named because the inquiry isn’t public. Danske, which used correspondent banks such as Deutsche Bank to move money abroad, has admitted that much of about $230 billion that flowed through the tiny Estonian outpost may have been dirty. For what it’s worth, DB denied that the Fed or other US regulators or law enforcement agencies were investigating the bank. Instead, it said they were merely asking questions. The Fed is supposed to ensure that banks in its jurisdiction properly scrutinize their clients. One factor that may have attracted scrutiny from the Fed was testimony from a Danske whistleblower who told lawmakers in Denmark that DB moved $150 billion – the bulk of the suspected illicit cash – on behalf of Danske. The U.S. requires banks operating under its jurisdiction to scrutinize clients and their dealings to detect potential money laundering and alert authorities to suspicious transactions. The Fed is among regulators that ensure banks have adequate systems in place to fulfill those duties. A Danske Bank whistle-blower who outlined the illicit flow of cash through that firm has said much of it passed through Deutsche Bank in the U.S., and one of the people said the Fed is focusing on the German lender’s trust bank. 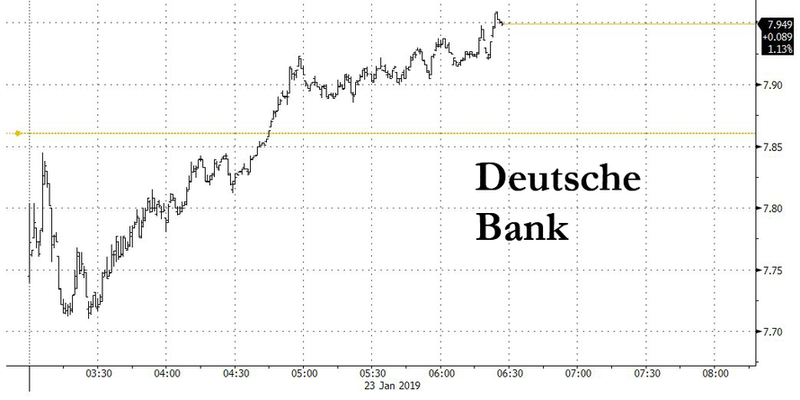 Deutsche Bank has been cooperating with the Fed, the people said. A Fed spokesman said it doesn’t publicly discuss confidential probes. Last week, DB CEO Christian Sewing said he had launched an internal probe into the bank’s correspondent banking practices even though he hasn’t seen anything to suggest wrongdoing. Much of the illicit activity under investigation took place between 2007 and 2015. The bank had previously reviewed its actions in the case, Sewing said at an event in Berlin. He urged people not to “prejudge” the bank or its employees, presuming their innocence unless proven guilty. Whether the Fed probe results in financial penalties remains to be seen. But banks and investors should take note: Correspondent banks, who have previously been allowed to feign ignorance when their involvement in money laundering violations has come to light, might soon be facing a lot more scrutiny.